We don't have a back porch, we have a "porch stoop". It was one of those things I was not a fan of when we looked at this house. I don't understand the "porch stoop" concept at all. Being born and raised in the South, home construction dictates that you have a porch, front and back. After all, we have to have a place to sit to drink our Mint Julips and say "y'all" and "bless your heart"! Unfortunately, the cost was too high to tear out part of the house and build a proper porch so we are stuck with a stoop. I decorate this small area with signs during the holidays, but once the holiday decor is down, I'm at a total loss as to how to make this dumpy little area look cute. I finally decided to find something permanent for this area to dress it up...and this is what I used! I'm joining some awesome bloggers for our Ten on the 10th monthly challenge...to take a thrift store find and give it new life. Our challenge this month is being hosted by Katie at Let's Add Sprinkles. I found this basket a few years ago at a thrift store and never really did anything with it. I shoved some greenery and flowers in it, hung it on the door and called it a day. Shame on me! It is a pretty basket and deserved so much more. The point of our challenge is to keep the cost at $10 or less. I knew I wanted to put something decorative on the front, but I wasn't sure what. I ran across this remnant of material at JoAnne's and knew that it would be perfect. It only cost $1.19. Score! I have lots of material left over for another project. Double Score!! ...added a piece of ribbon using hot glue and then added my bow. 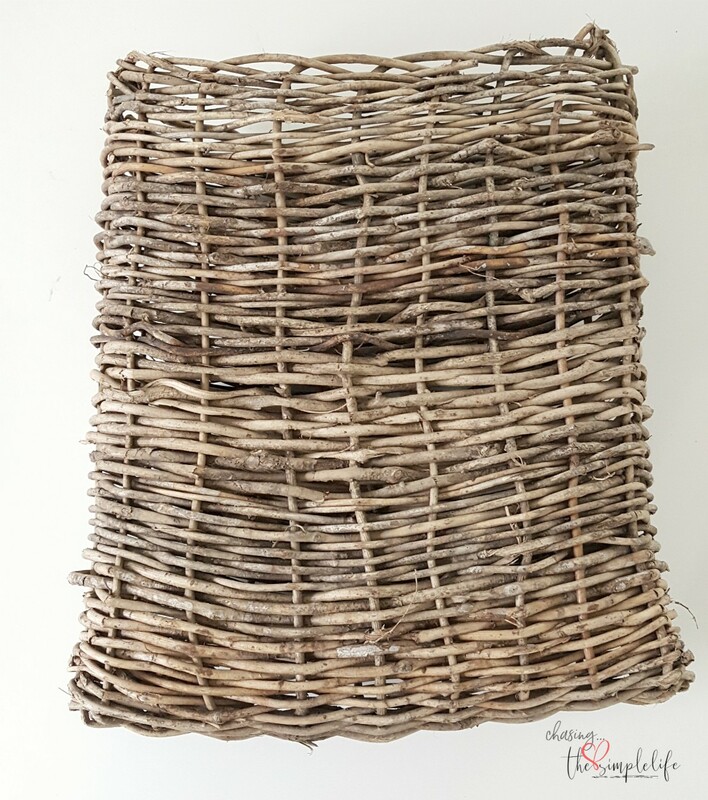 I used a piece of jute to make a new hanger. My stoop has a new look and I love it! The basket is the perfect size and looks so pretty with the color of our home...the black on the basket just pops. It also looks great with our door color! 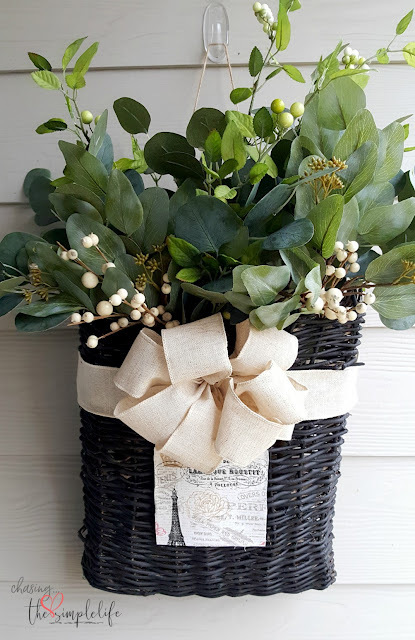 The majority of the items I used on this project I already had on hand...paint, Mod Podge, jute and greenery. I found the ribbon on clearance for $1.50. 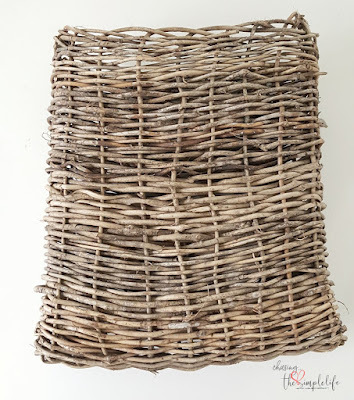 Using what you have is an inexpensive way to re-create decor for your home! 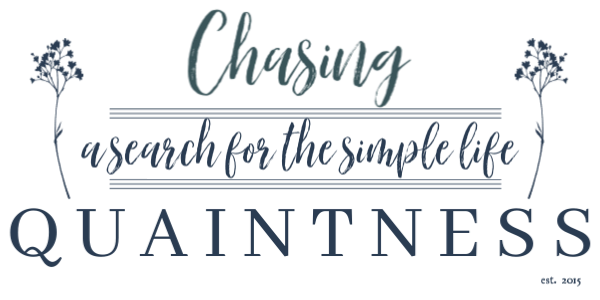 Please be sure to check out all the projects from this great group of bloggers listed below...you won't be disappointed and might find new inspiration for some items around your home that need a little love. Girl this is too cute! I love it!!!! And I am part of your stuck wth a stoop club. Also, one of the things I didn't like about our house when we bought it. I am never quite satisfied with the decor out there. Too much, too little? I guess we file it under first world problems my friend! Thank you so much! I truly don't understand why they put a stoop...I would rather have nothing than the odd opening, at least then it is even with the back of the house to give you more options. I'm the same way...I can never find anything I like to decorate with...LOL...truly! Thank you again! Love and hugs! Thank you so much Penny! My projects are normally hit or miss, but I'm please with this one. If I stick to paint and glue, I am usually successful...LOL Hugs! This is adorable. I've been unhappy with my front door decor lately. What a great idea. I love the French touch to this. So cute. Thank you so much Katie, I appreciate it! I struggle so much with trying to decorate this little area, that I normally have nothing there after the holidays. I am glad that I now have something to leave out there all the time! Have a great one! Hugs! Thank you so much Barb. I am happy with how it turned out. I almost bought something else but then remembered that I had this basket that I needed to do something with. The hubster was pretty glad I got it out of the garage also. Thank you so much, I'm so enjoying this monthly blog hop with you all, it is so much fun! Happy almost Valentine's Day to you too! Hugs! It is beautiful! Great job Benita! Thank you so much Chloe! I normally struggle with craft projects, but paint and glue are always a safe bet..LOL! Love and hugs! 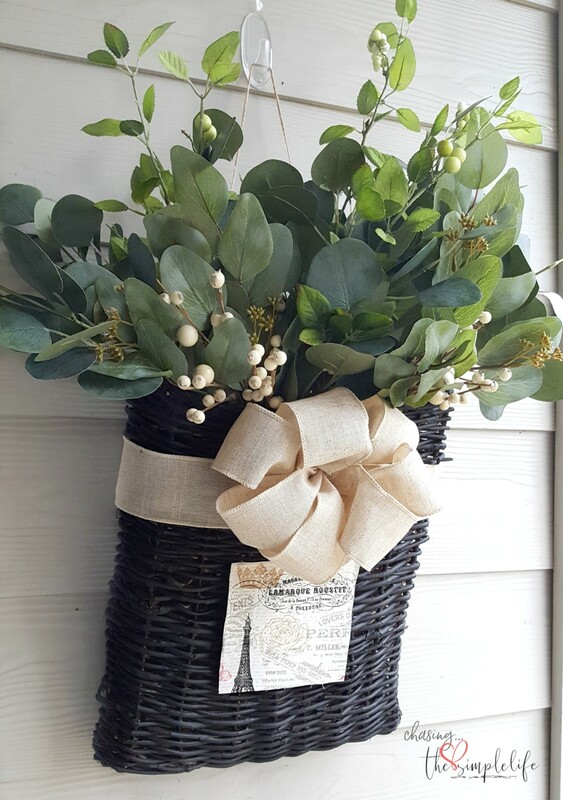 What a sweet way to welcome your back door guests!! It is so pretty and looks easy enough to change for the seasons.....clever!! Thank you so much Patti! I'm hoping that if I want to change the color of the ribbon or the little decoration piece, that both will pop right off without damaging the paint. Of course, I can always touch up I suppose. Hope you are having a great trip! Hugs! It turned out darling, Benita, just like the one who created it! You make a stoop look perfect. No telling what you could accomplish with the kitchen porch we are blessed with here. I'm still waiting for inspiration to strike. I always struggle with decorating this area and wish I had a full porch. Of course, I struggle with my front porch also and can never seem to find the right thing to put out there. You and I can commiserate over porch décor! 😊 Love and hugs sweet friend! Thank you so much Diana, I appreciate it! I'm so thankful that your granddaughter did well during surgery and hope she continues to improve. Will be looking for updates on her! Love and hugs and will continue prayers! Well Bless Your Heart Benita! Between your stoop and my porchette, we are quite the pair. I seriously love how your hanging basket turned out! It looks fantastic! I'd love walking up and seeing that every day. You are one clever girl! LOL…yes we are. I wish these builders would understand, we need more, much more!! 😊 Thank you so much, I am glad I didn’t ruin the basket. I was very apprehensive about painting it, but once I got started, I was okay with it! Thank you again! Hugs! Wow, I really love this and the color of your front door! You are such a creative and talented gal and I'll look forward to seeing more of your pretties throughout the Spring! 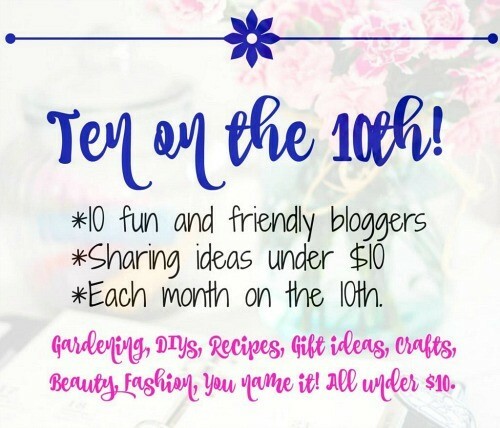 This was fun to share Ten on The Tenth with you! Hi Jemma! Thank you so much, that means a lot coming from someone who is super creative! I struggle with these projects and it is hard for me to come up with something original. I combined a couple of things I had seen and hoped that it worked. :-) I'm looking forward to more posts from you with all of your projects as well! I enjoy this blog hop and am so glad I'm able to be a part of it! Hugs sweet friend! Cute idea Benita. Love the challenge idea. Thank you so much! I was nervous about it when I started, but after the paint went on, there was no turning back…LOL. I’m enjoying it also…it is a different challenge each month. I will be hosting in March and I’ve totally forgotten the theme…guess I need some more hot chocolate…LOL Love and hugs! So pretty! I have some small baskets like yours (stuffed in a closet). I'm inspired to get out the paint and use them this spring. Thank you so much Eilis! I've got a few tucked away as well and may be pulling them out. I think I like painting with the brush over spray painting since it leaves some of the original basket showing! Hugs! Thank you so much Rita! I love the size also…I really needed something to fill that space. Now to find something to go on the opposite wall…maybe I can try to make some sort of sign…I need to hit Pinterest. Thank you again! Love and hugs! That is absolutely gorgeous, Benita! I'll bet you have the prettiest stoop on the block! Thank you so much Ann, I appreciate it! It still has a long way to go, but this little project definitely helps it out a bit! Hugs! I do declare, girl, you are turning into a project maven! 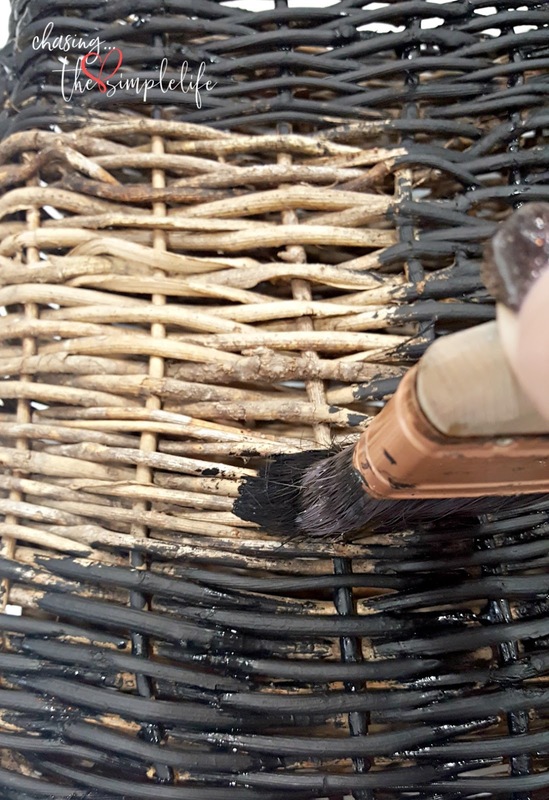 This basket makeover is fantastic. 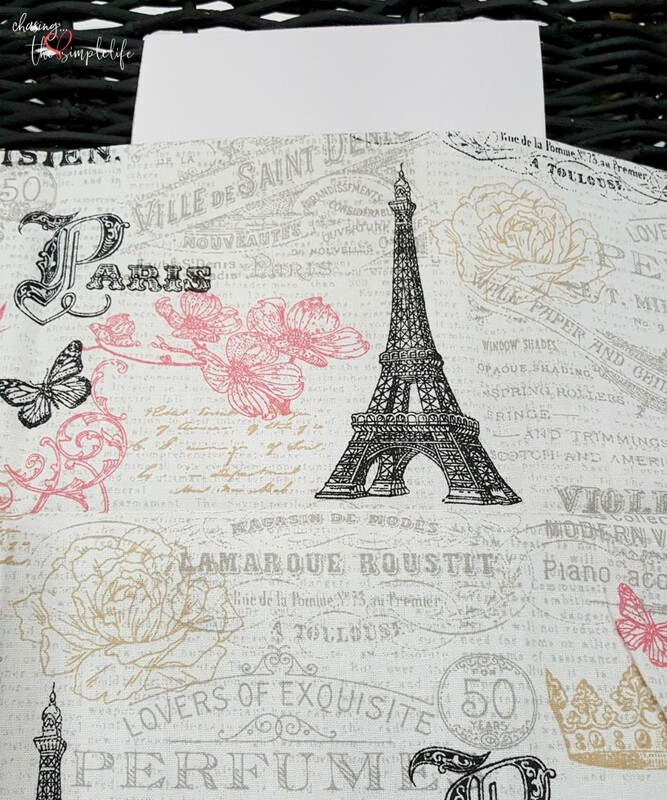 Of course, I am biased by your fabric choice that has French designs. Thank you so much Judith! I’m really trying to step up my game a little in the project department. When I found that fabric, I immediately thought of you! 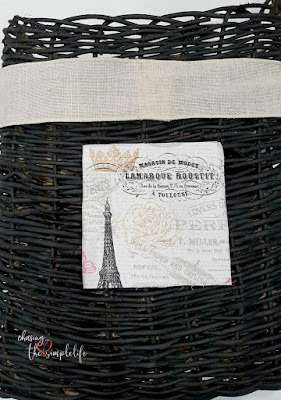 😊 I had been looking for a little emblem or something but when I saw that fabric, I knew it would go perfectly with the black paint on the basket! Hope you had a great weekend! Happy Valentine's Day to you! Hugs! Love that you painted it black. I think that made all the difference. 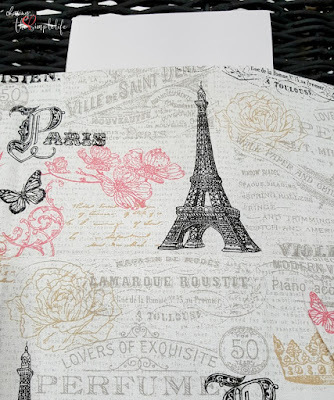 And the Paris print is a nice touch because after all, Paris is always a good idea ;). LOL...you are too funny! To me, the "stoop" is where one stands in the big city to sneak smokes, kisses and drinks...LOL Oh, and to gossip about all the neighbors...LOL Thank you so much! No one sees it but us (unless we have friends over to grill out) since our backyard is completely fenced in, but it drives me crazy because it is so ugly! And I agree, Paris is always a great idea! :-) Love and hugs! 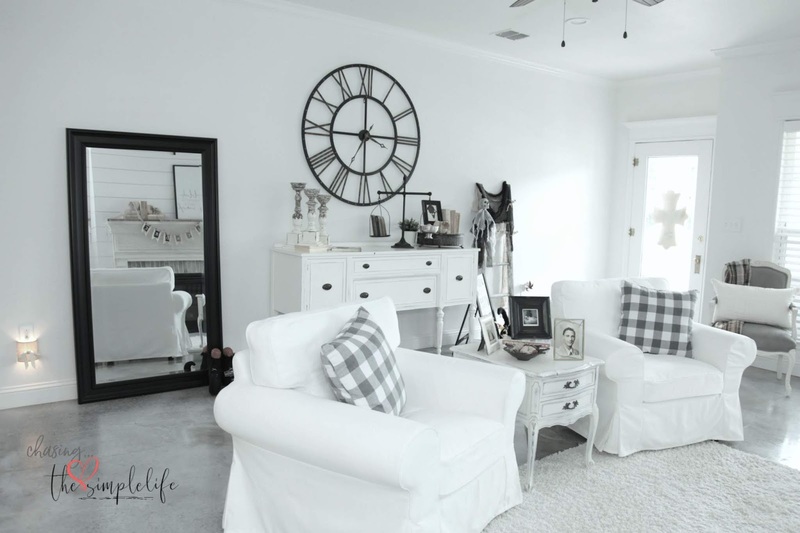 When you are going to get back to you blog...I'm dying to see photos of your new home! Too sweet! I have a few of those baskets lying around that I have done nothing with. Thanks for such a cute idea! Thank you so much AnnMarie! I have a few more that could use some extra love as well…hopefully I can think of something to do with them! Love and hugs sweet friend! What a darling and welcoming accent. I have a stoop too and have big porch envy. Have a love filled week! Thank you so much! I am so glad to know that I am not the only one who struggles with decorating such an unfortunate looking area! LOL Have a great week and Happy Valentine's! Hugs! A great idea, I like the addition of the fabric. Thank you so much Carla! I appreciate it! I changed my mind midstream, but it ended up working out for the best! :-) Love and hugs! Lucy, thank you so much for visiting and I do hope you visit again! And hang around a bit! :-) Thank you so much! 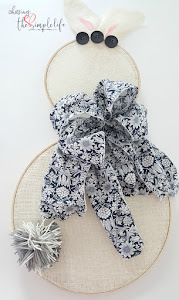 My craft projects are not always good craft projects, so I try to keep things pretty light and easy. If I can paint or hot glue something, it works out. Anything more complicated...I'm then treading into deep waters...LOL I hope you have a great day and again, thank you so much! Hope to chat again soon! Hugs! Absolutely adorable, Benita!! Great job, you're amazingly creative, my friend!! Debbie, thank you so much! I keep plugging along in the craft department and am finally having more wins than losses. Still staying away from the stencils...I need to get up the courage to give it another try...just don't know when that will be...LOL Love and hugs sweet friend! Benita, as a Southern girl, I totally understand your love of porches; we had one growing up that was so long my friends and I could do cartwheels across it. I've never had one since and definitely miss it ~ although that doesn't keep us from having mint juleps. 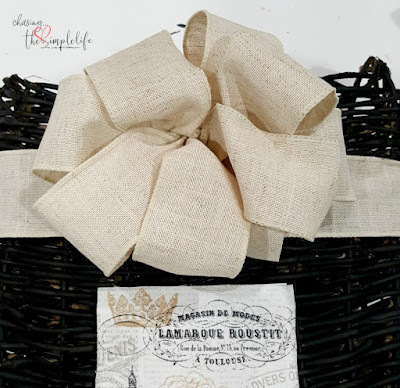 Your basket projects is just precious ~ from the basket to the great bow to the French~theme fabric (I think I've had some of the same.) to the greenery. It looks so professional. Definitely Pinning to my boards and tribes. It just doesn’t seem right to NOT have a full-fledged porch! The size of the porch you are referring to is divine and you can find them all over the place in rural Alabama. New home construction, sadly, as minimized the porch and all that it stands for. If they new how many hearts were broken and healed and how many friendships were made on those porches, maybe there would be a resurgence in them! 😊 Thank you so much Carol! I’m still trying to find my niche in the craft arena and am trying to branch out to do different things. So glad you like it and thank you so much for sharing with everyone! I appreciate it greatly! I’m so enjoying being able to partner up in different blog hops…I do enjoy them and am looking for more opportunities to collaborate with other bloggers. Hugs! I'm stuck with a stoop, too, Benita and I hate it. I do my best to decorate it, but have always longed for a place to put rocking chairs and decor. 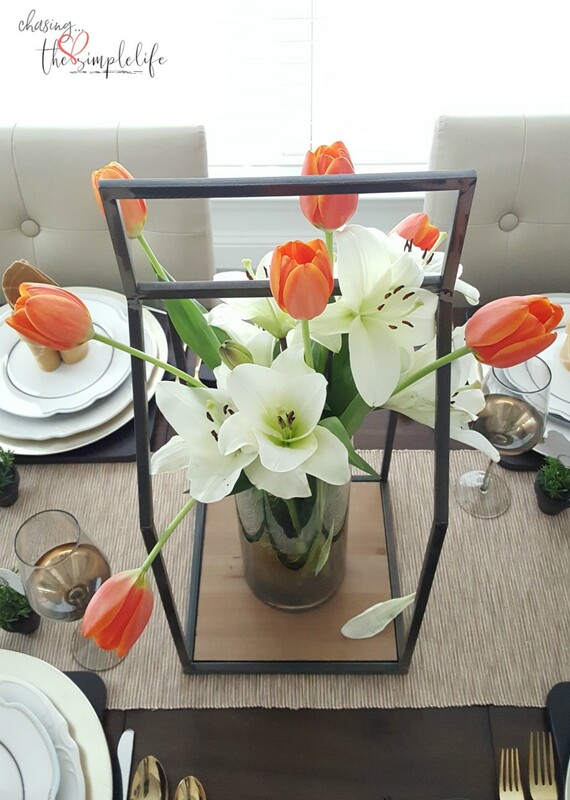 Your basket is a charming way to dress the space. 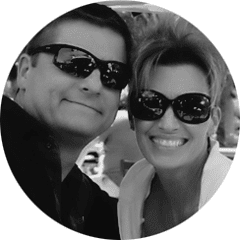 You have a great eye for design and a bargain! Now that's fabulous!! Thank you so much! The estimate for them to put a deck or porch on the back of the house was close to $20,000. They would have had to tear out part of the house and we were like, nope, we will live with it. It is a hard area to decorate because it is so small. Ours is an alcove-type stoop and it is so difficult to deal with. I feel so claustrophobic just passing through it to come in and out. Thank you again…now I’ve got to find something for the opposite side wall. Love and hugs! I LOVE this, Benita! I sure hope you link it up at Homestyle Gathering tomorrow! Love your projects! Thank you so much Julie! I appreciate it so much! Have a great one! Hugs! Cheri, thank you so much! 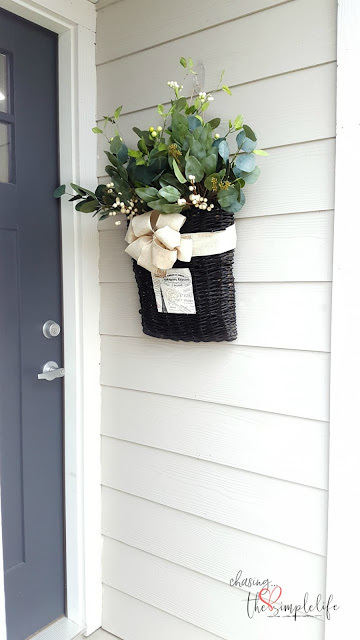 Painting that basket and spoofing it up a bit definitely made a huge difference in how it looks…the typical “ugly duckling” transformation…LOL We have had large porches and small porches in our different homes, but we’ve never had a “stoop”…LOL It drives me crazy. Something we still miss terribly from our home in Tennessee was our screened in porch. We could enjoy so much more time outdoors there. But of course, here in Texas, a screened porch makes no difference…you melt in the heat regardless. 😊 Thank you again Cheri! Have a great one! Hugs! This is so pretty!! Growing up , y parents had a front "stoop" so I know exactly what you mean!! Thanks so much for stopping by!!! Thank you so much Debbie! I appreciate it! This area has been difficult for me because we’ve always had a porch! Have a great weekend! Hugs!